those linked to the endocrine system, adrenal stress, overactive enzyme activity and changes to cellular organelle function. This course is essential for a complete understanding of the condition and covers the physiology, biology and morphology of Rosacea; with particular emphasis on its cellular triggers. 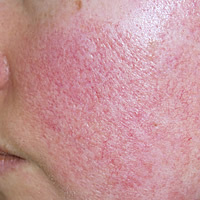 We will also explore the different sub-types of Rosacea and how to recognise them. Awarded 4 CPD points or 5.3 CE's.